To Quickly Receive A Concrete Replacement Quote in Sacramento, CA, Give Monsters Concrete A Call Today! Have your concrete pathways started getting cracks or is the material crumbling? Is it time for a concrete replacement or concrete repair? Many times it is difficult for the owners to decide whether your concrete floors need replacement, repair or complete reinstallation. You will need to take the advice of a concrete expert to make your pathway beautiful as it was. That is when you have to hire the service of concrete replacement specialists Sacramento CA. 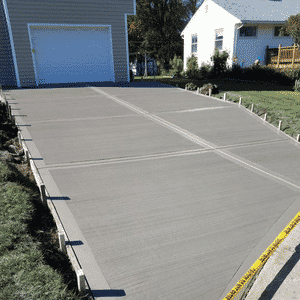 If you are looking forward for a concrete replacement in your driveway or walkway and a resident of the Sacramento area of California, here’s how we can help you. Monsters Concrete Sacramento, is a trustworthy company for any of your requirements related to concrete services. We have been in the construction sector for years now with a massive client base and thousands of successfully completed projects. The quality of service we offer to our clients is widely appreciated and we are indeed the sought-after name among concrete contractors in Sacramento area of California. We are one of the most recommended Sacramento concrete replacement specialists. Read on to know the ins and outs of concrete replacement techniques, and also when you should go for concrete replacement in your pathway. It is a matter of confusion often whether to repair or replace the concrete paths or floors. The structural quality and aesthetic appeal cannot be compromised on any grounds. However, the age of the concrete floor and the intensity of its usage can be taken as a deciding factor. After a period of time, it is very certain the concrete materials will lose its durability and starts deteriorating in its quality and look. The temperature of the place will also play a role in defining the lifetime of the concrete floor. If the concrete driveway or walkway is above twenty five to thirty years of construction, it is better if you opt for a complete replacement. It can be turned as a waste of effort if you go for a repairing on an old pathway or concrete floors as the material used in the construction will start crumbling with time. Also, giving a concrete repair one in five years would help to increase the lifetime of concrete driveways and floors. Before giving contracts to the best in concrete replacement Sacramento, get an analysis done on the extent of damage that is visible on the concrete area. 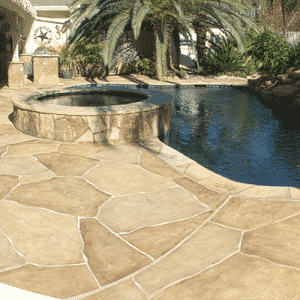 For this you can consult with one of the Sacramento concrete replacement specialists. 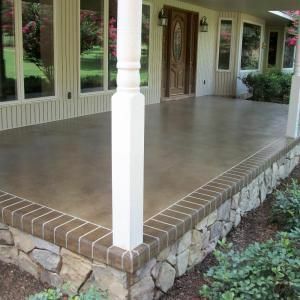 If the floor is done with poor quality material, or low level installation, it is always better to go for a proper concrete replacement, and make it done by the Sacramento concrete replacement specialist. Probably, the driveways or walkways add to the appealing factor of your home. Not only in residential properties, but also in commercial buildings or offices, the concrete floors give the right look. On the other way, a few patches or one or two scratches, or even little crumbles will destroy the look of the floor. It would be a wise decision to hire the service or take advice from one of the concrete specialists Sacramento, which will help you to replace the upper part of the concrete floor and reinstate the beauty of the property. They can help you in resurfacing the concrete floor or pathway, which means only the top layer of the area, is replaced. Get in touch with one of the best concrete replacement specialists Sacramento, to make the job done, so that you do not need to worry about the quality neither the aesthetics. Why hire Monsters Concrete Sacramento?